Happy New year MBT friends! I know it’s been a long time since I updated my blog. I took blog leave for my marriage (I know blog leave sounds too professional but common I need to be regular with my blog!) and then went for honeymoon to Andaman. I will update the post with pictures of my honeymoon vacation soon. If you are a nature lover and crazy for water activities then you must definitely plan a trip to Andaman! January 1 marks my blog anniversary and I could not believe I completed 3 years of blogging. Thank you so much everyone for your love and support! I really enjoy reading your comments. 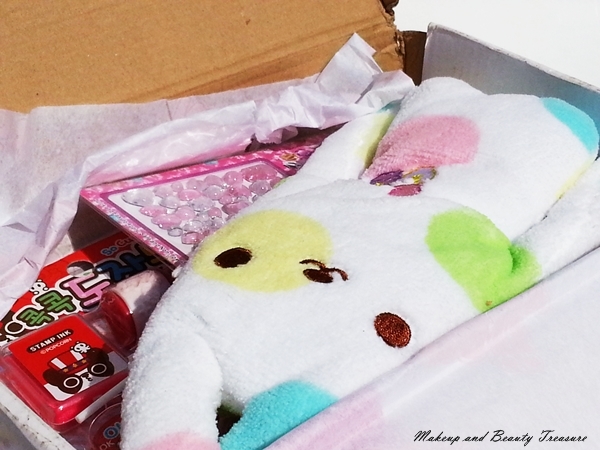 If you are a long time reader of my blog you would know I reviewed November 2014 Kawaii Box which was definitely the cutest subscription box I have ever seen. 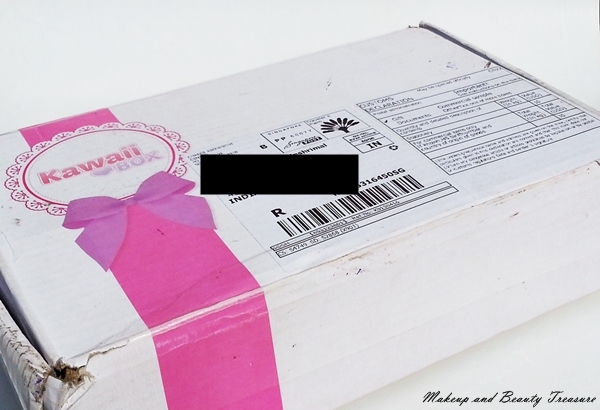 It consists of all cute and girlie Korean items that will make any girl drool over this box. I got this box in the first week of November but literally I did not get the time to review it due to my wedding shopping. Kawaii box* costs $17.30 and you can buy online HERE. Let’s start the review! Kawaii Box comes in a simple white cardboard box but with a pretty sticker stuck over it. I absolutely adore the pretty things Korea offers. Everything was placed neatly in the box and wrapped in a light pink butter paper. It comes with 11 items and there was not a single thing that was not used by me! There is a zipper at the back which I find a bit small! 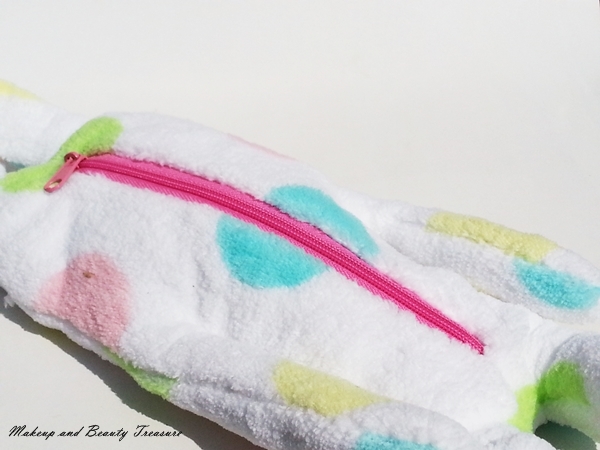 It comes in the form of a soft rabbit pouch and I love carrying eye and lip pencils in it. It can also be used to store stationery items or other accessories. 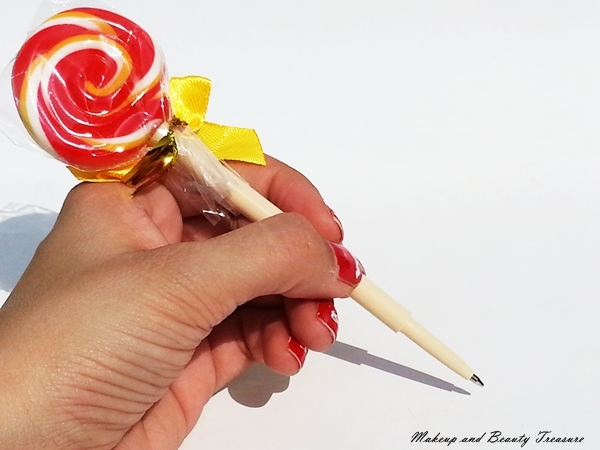 I love carrying cute and unique pens and I was super happy when I saw this “kawaii” lollipop pen. 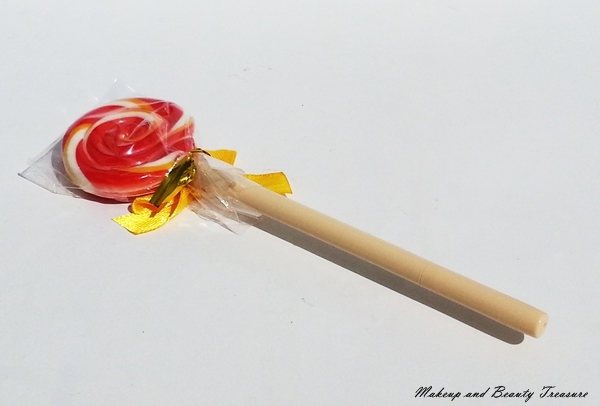 It has a lollipop design stuck at one end and definitely turns heads! I gifted this DIY kit to my nephew. 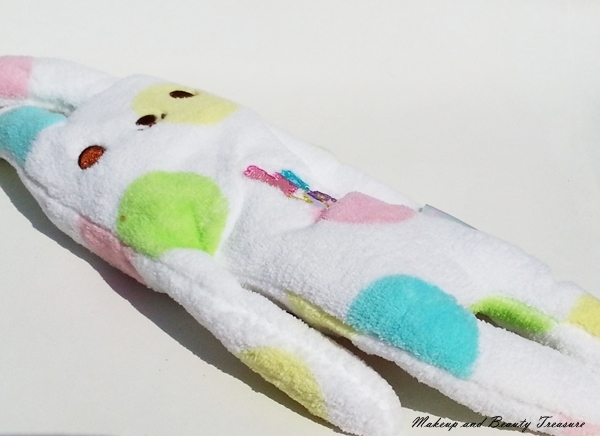 These kits are creative and super fun for kids. 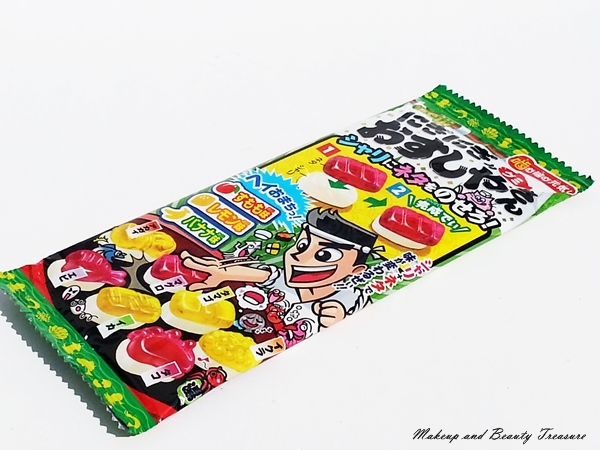 Though I did not get the chance to taste it but my nephew told me these gummies taste yummy. They come in different flavors of lemon, banana and plum. I got cute panda stickers in my November 2014 Kawaii Box and my nephew loved it so much that I could not resist myself from gifting him. 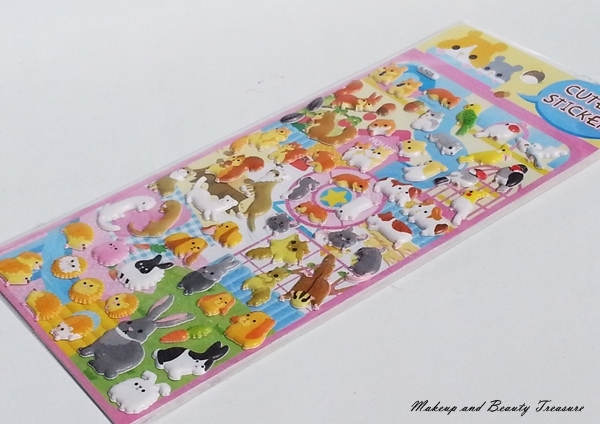 This time it comes with a set of various animals and being an animal lover, I have kept it for myself. I am currently using it on my notebooks, diaries and gifts. 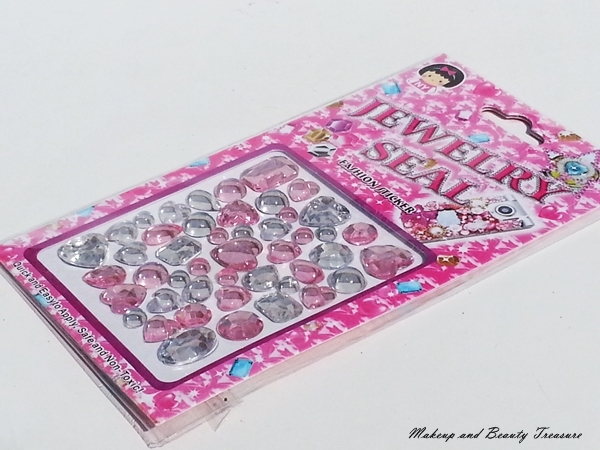 These are not just for nail arts but for decorating gifts and other things. These come in the shape of hearts and shines when light reflects. I have not used them till now but I am sure they will look awesome on almost everything. 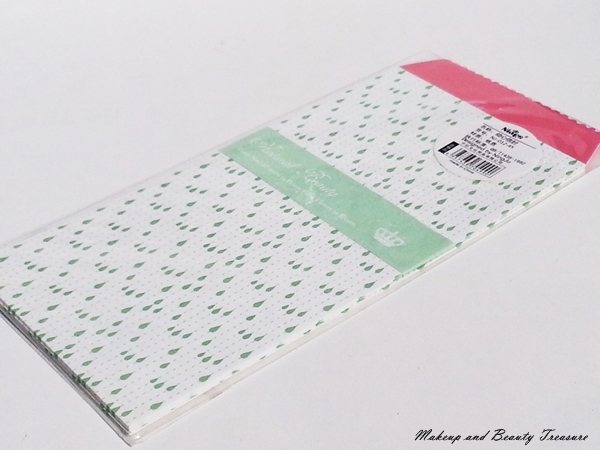 These patterned envelopes set comes with 5 envelopes. I got the green color and it looks very pretty and girlie. These are so cute that I have not used them till now and stored them in my cabinet *laughs*. I particularly use these gorgeous stickers on my mobile case and laptop. These shine when the light reflects. Though I would not consider them extra ordinary as you can get these kinds of stickers in any local store but they do look gorgeous and make any boring stuff look pretty! The cutest coin purse I own! It is a soft storage pouch that can be used for storing coins or small jewelries. It is very small in size and can be kept in pocket. Time to flaunt Kawaii items! It comes in 4 different colors and I got the green one. It has a monster face that makes it look cuter. It can be used for storing cards or other small items. 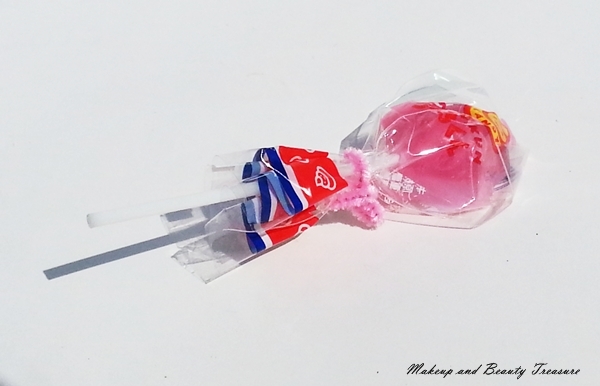 I got this poop shaped lollipop in Japan Candy Box and believe me it tastes YUMMY! This time I got the strawberry flavor and as always my nephew snatched it away from me as soon as I licked it *poor me*. The set includes 5 different stamps and an ink pad. It can be used to decorate cards, letters or gifts. As I told you, my nephew loves doing creative things so I have gifted it to him. • You get lots of unique and cute items at $17.30. • You get to try Korean treats! • All the items are usable and make any boring stuff look cute. 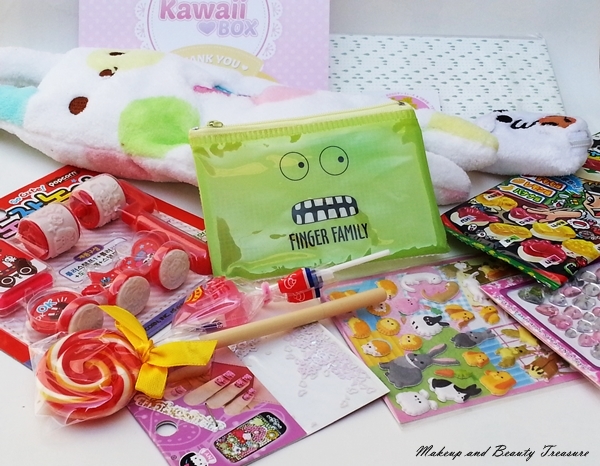 I am totally happy with the items in October 2015 Kawaii Box. It is definitely the cutest subscription box I have seen. 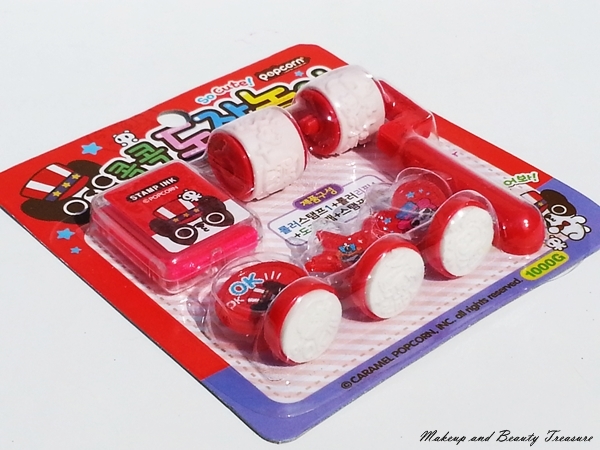 It contains 11 Korean items that are unique and will make any girl or kid go gaga over them! 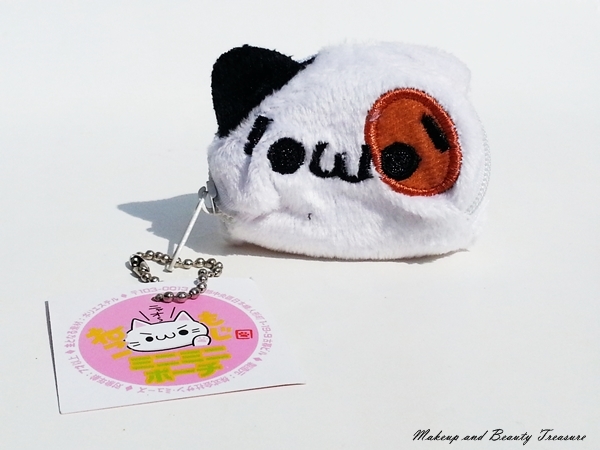 I would highly recommend it to you if you love cute Korean stuffs! 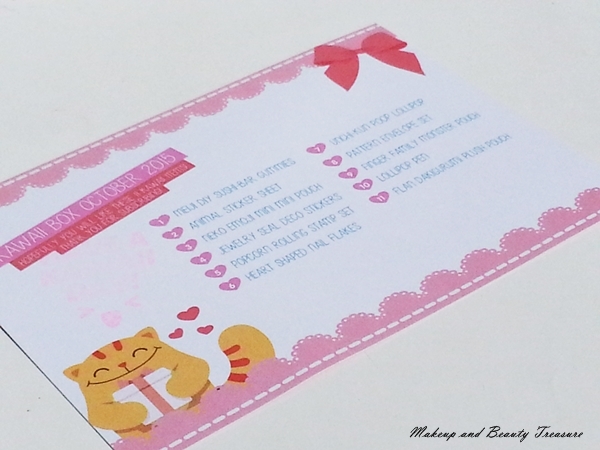 To celebrate my blog 3rd anniversary I would be giving away a Kawaii Box to one of my lovely readers. Thank you so much Kawaii Box team for generously offering one box to my reader. The rules are pretty simple and the giveaway is open WORLDWIDE! • The giveaway will run for the next 15 days and the winner will be chosen by the brand. • The prize will be send by the brand and I will not be liable if the package got lost, broken or stolen! • The winner must reply within 48 hours else I will be forced to choose a new year! • Enter via raffle copter only!